This door has never been cleaner! 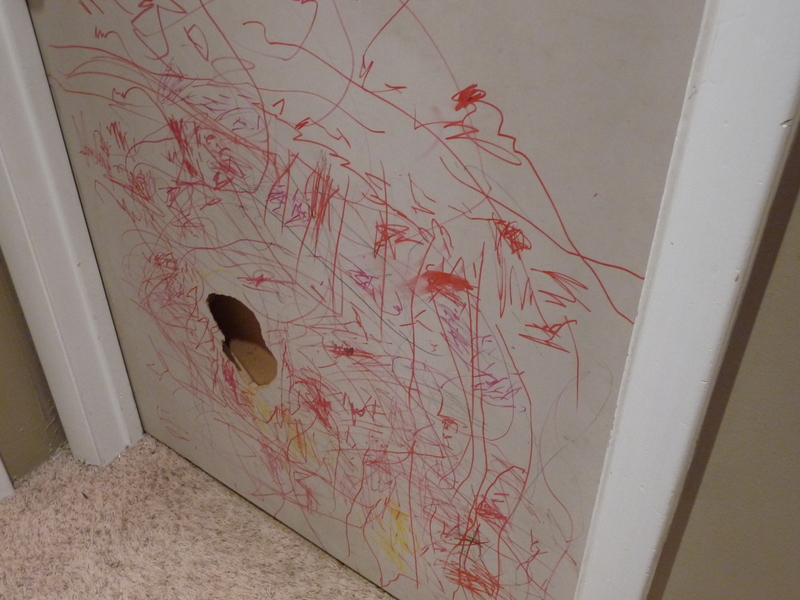 So I need to thank my precious child, for making me get down there and clean the marker off the door. Because in the process, I cleaned off all the other junk, too. 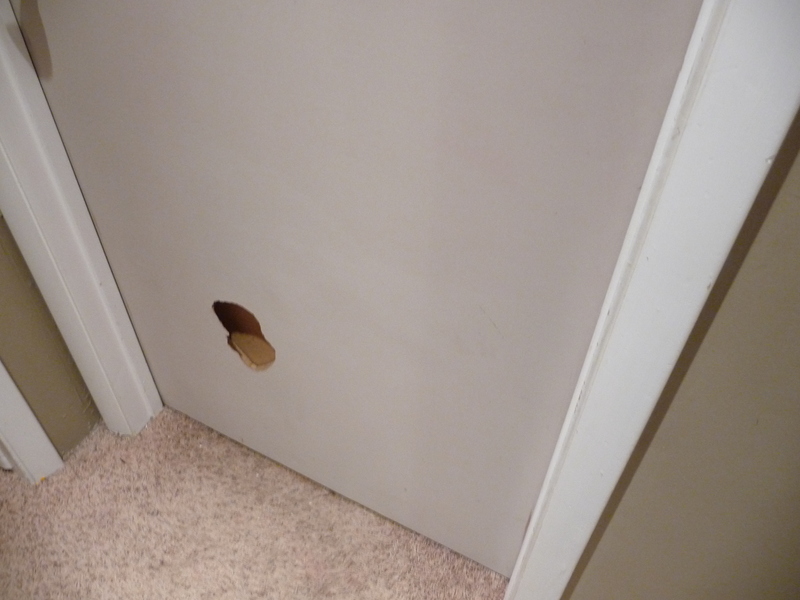 Now the hole in the door? I plead the 5th on this one. Really, because I have no idea how it got there. It wasn’t me, if that’s what you’re asking. 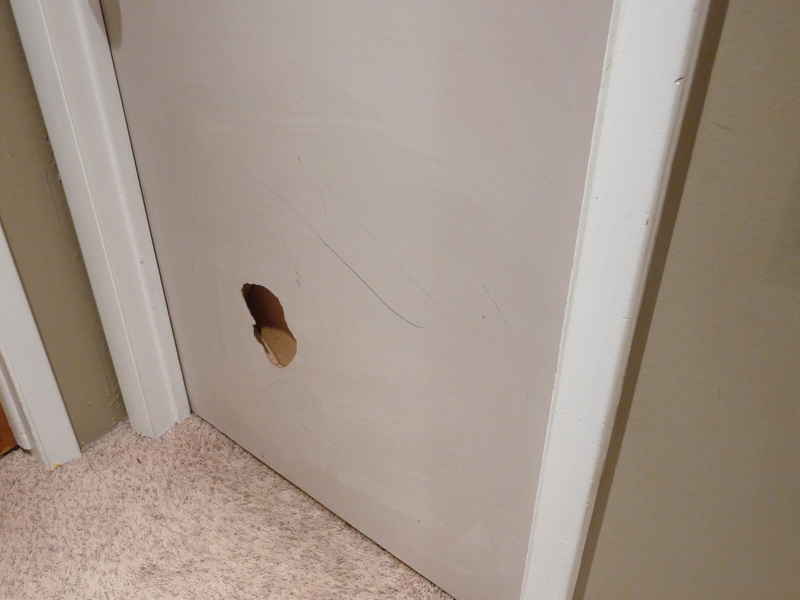 It’s not like one would have to hardly kick it anyway because the door isn’t solid wood or anything. I mean, it’s cardboard on the inside. Yes, I kid you not. There are crisscross sections of cardboard inside this door. How do I know this? Because of the hole. OK, here’s the breakdown of what I did to make that door sparkle. What? You can’t see it sparkle? You need to look harder. Pretend it’s sparkly, if you have to. #1. First I wiped the door down with nothing more than hot water and a washcloth. I just wanted to see what would come off. Nothing much, really. Some dirt, some marker, but not a lot. #2. Next I grabbed my trusty Greased Lightning. This stuff is super! I use it for all kinds of cleaning. My Mom introduced me to it — she swears by it and she doesn’t even swear! Oh, AND she cleans houses for part of her living and loves this stuff. I highly recommend it. I looked all over for it and finally found it at Lowe’s. I didn’t check at Home Depot. I’m sure you can buy it online as well. Target doesn’t sell it and neither does Wal-mart (at least the last time I checked). 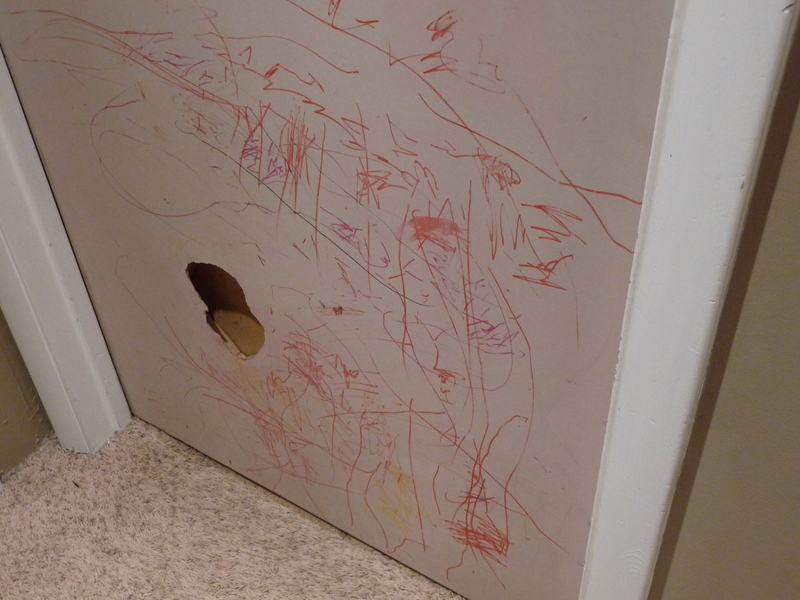 Here’s what the door looked like right after I sprayed it. It’s almost like a painting. Hey — do you think I could sell this as art? You can see how quickly Greased Lightning started to work. I’m telling you — this stuff is great. Here’s what it looked like after wiping it down. There’s only a little bit of ink left, so not too shabby, eh? #3. Magic Eraser to finish it off. I love the magic eraser. It’s totally amazing! 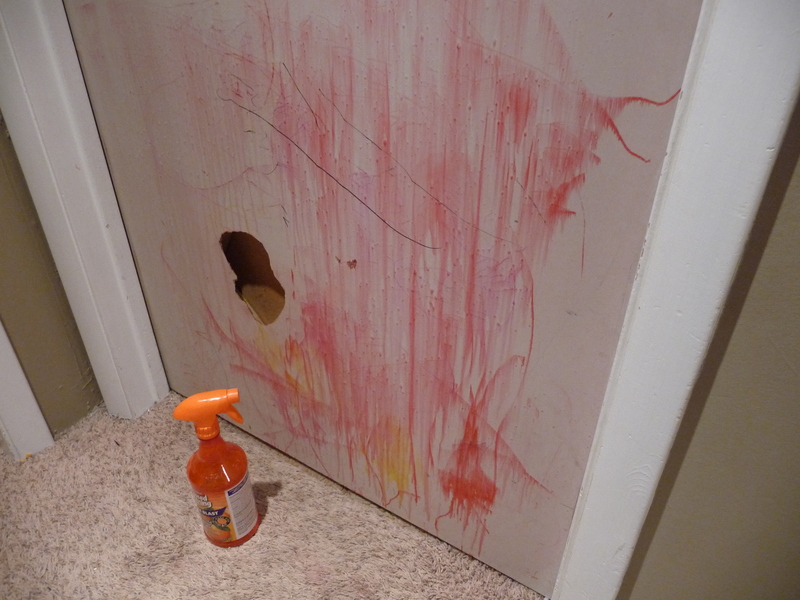 I finished scrubbing off the door with it and then wiped the door down one last time with just a wet washcloth. There you have it. A blank canvas for Ian to paint on again. 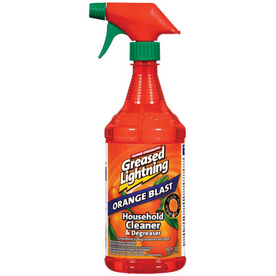 This entry was posted in Cleaning and tagged greased lightning, magic eraser. Bookmark the permalink.